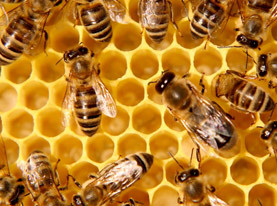 At Animal Pest Management Services we specialize in the removal of all pests, including a variety of insect species. 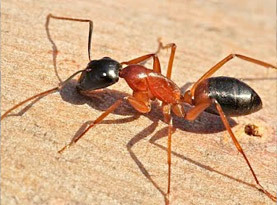 Some of these pests can prove to be more than a challenge to remove when dealing with an infestation. Our team of expert pest technicians have the resources and training to completely eliminate any insect problems you may have in your home or on your property. When these insects are removed effectively, there is a far smaller chance that the infestation will reoccur. Here is a sample of some of the pests that we specialize in. Fleas affect more than your pets. When your home is infested with fleas, they can start to feed off humans as well when your pets don’t provide an adequate food source. Often, over the counter products don’t do a thorough job in removing fleas from your home. Upon inspection, the experts at Animal Pest Management Services, Inc. can completely eradicate any flea population and any lingering eggs. Not only are flies a nuisance, but they carry a long list of diseases as well. These diseases are transmitted to your food and other surfaces that they land on. Our team of trained technicians will be able to identify the species we are working with, and then choose the control method. While many flies look alike, the methods used to control them can be quite different. Common pantry pests include: beetles, moths and weevils. They are commonly brought into your home in your flour, oatmeal, cereal and other dried foods. These pests have specially designed mouthparts that can chew through most packaging that your food comes in. They end up contaminating and ruining any food that they touch. At Animal Pest Management Services, Inc. we know how to help you avoid any of these pests and stop any further spreading. Our team of highly-trained technicians are constantly on the defense for pests like ants, cockroaches and flies. However, sometimes there is a need to get rid of insects that don’t normally cause problems like crickets, silverfish and earwigs. While these pests don’t cause an immediate threat to humans, no one wants to see them crawling around and lurking in the corners. Even these occasional invaders need to be eliminated and you can trust our friendly staff to do just that. 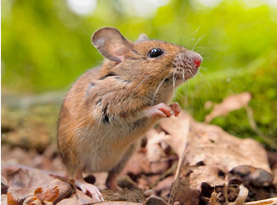 Animal Pest Management Services offers custom full service general pest control programs for our customers. The majority of our work is targeted at large scale problems where integrating precision pest management is of the utmost importance to minimize pest populations and keep them from returning. Our experience includes pest control programs for developers, homeowners associations, golf courses, landscapers, parks, school districts, water districts, Cal Trans and the National Forest Service. 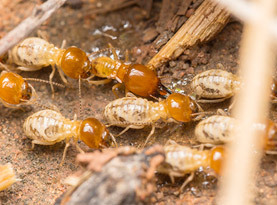 If you feel your home or business is overrun with insects, don’t hesitate to call in the reinforcing power that our team at Animal Pest Management Services can provide. We will work to keep your property pest free. Call today and talk with an Urban Wildlife Professional to see how we can help solve your animal and insect pest problems with guaranteed results.